Storm Battle：Soldier Heroes – Games for Android 2018 – Free download. 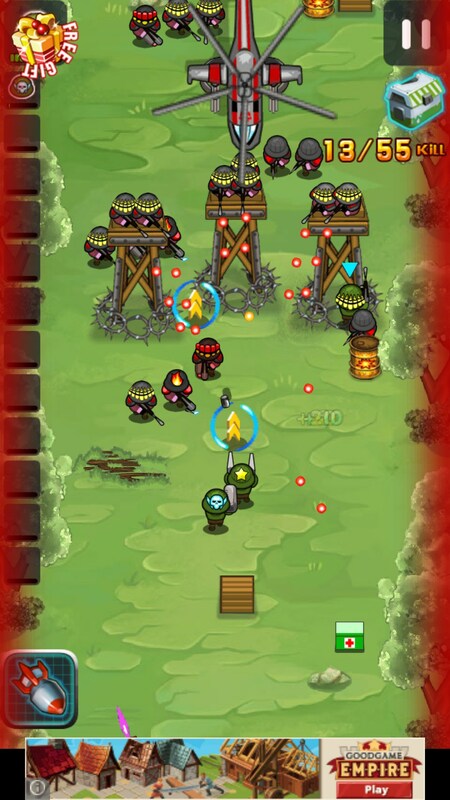 Storm Battle：Soldier Heroes – WWII 2D shooter inspired mobile game. 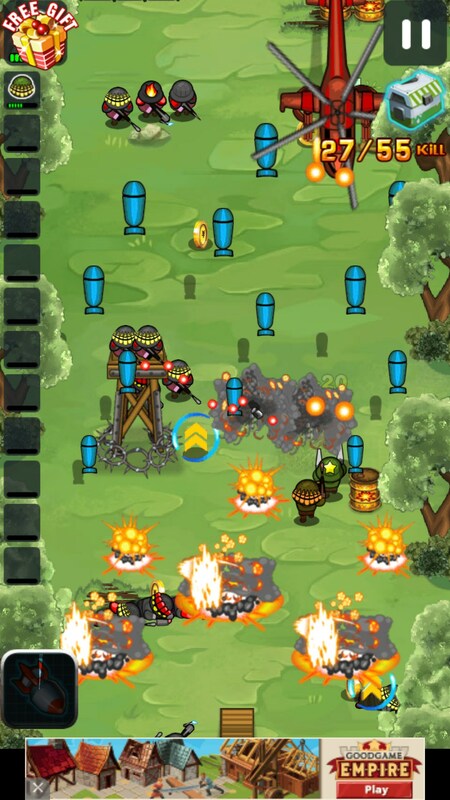 Storm Battle: Soldier Heroes for Android is a 2D shooter game that is based upon some of the classic WW2 themed retro shooters. In this game, controls are very simple, and most of the gameplay feels like it is on auto-pilot. This doesn't have to be bad though, because it means you can sit back and enjoy the fireworks, and there are going to be a lot of fireworks. 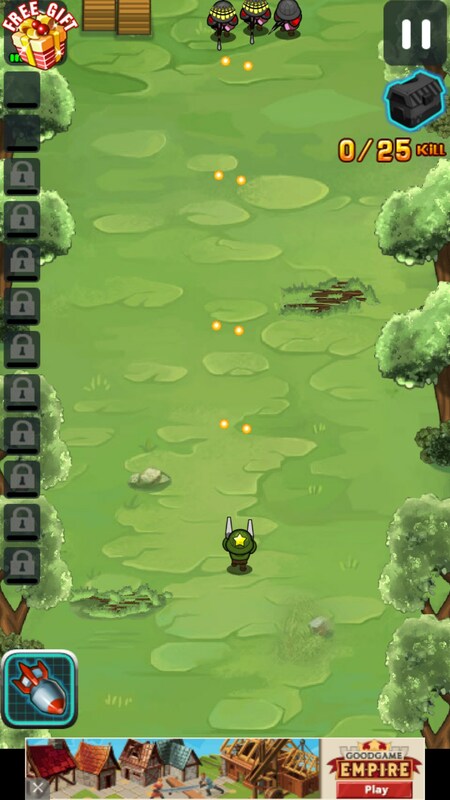 In this game, you can control your army by dragging your finger left or right. Doing so will move your army accordingly. 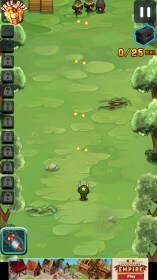 Besides this, you will also be given a few different abilities that can be fired periodically at enemies on the screen. Your army will automatically shoot, so you just need to direct them into the opponents. 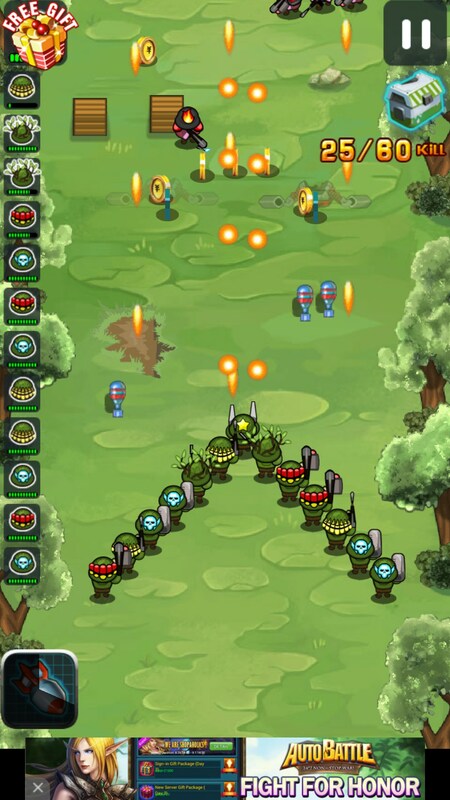 Your army will also automatically move forward, and the enemies will keep rolling onto the screen. 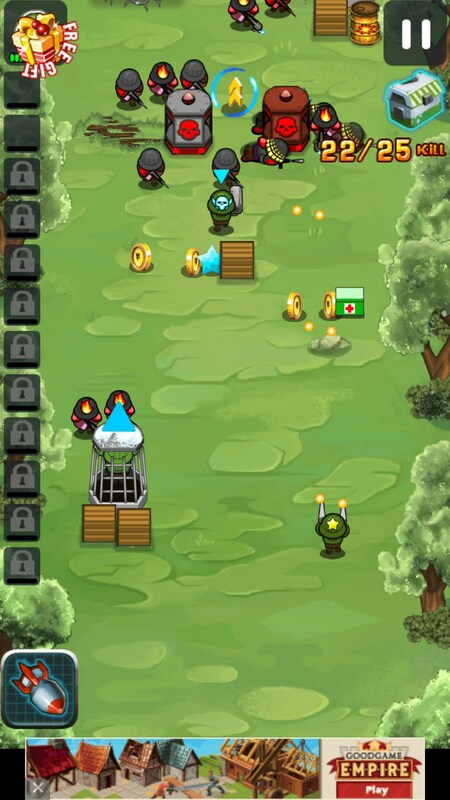 As you survive, more troops will join your army, and their weapons will start to upgrade. Eventually, you will have dozens of bullets pinging off of the screen and at the enemies. At times this game can become incredibly hectic, so you'll really need to concentrate in order to focus on what's happening. 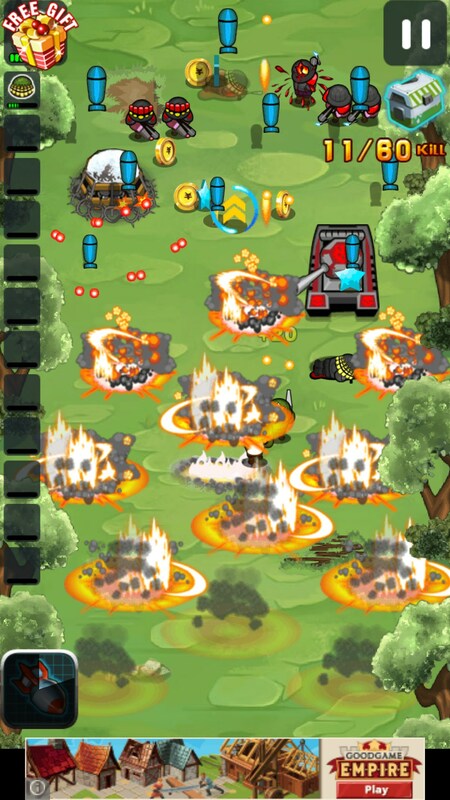 Lose focus and enemies will easily be able to slip through gaps in your army's fire, causing damage to your troops. 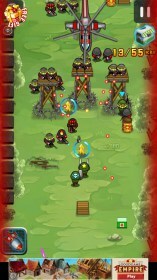 The game will end once all of your troops are killed. After a game ends, you'll be able to upgrade your troops and equip them with better weapons to prevent dying in the future, and these weapons can be purchased with currency earned from the game. 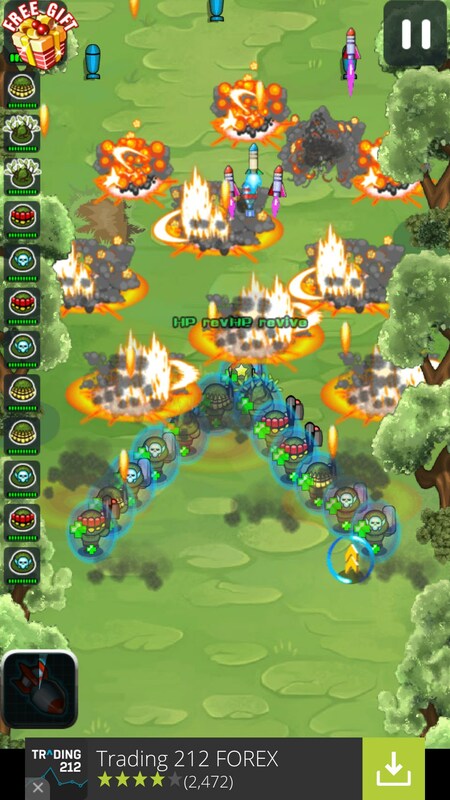 For the most part, Storm Battle: Soldier Heroes is a fun game to play on your time off. Gameplay isn't too serious, but it's fun enough to keep you playing without things getting boring.